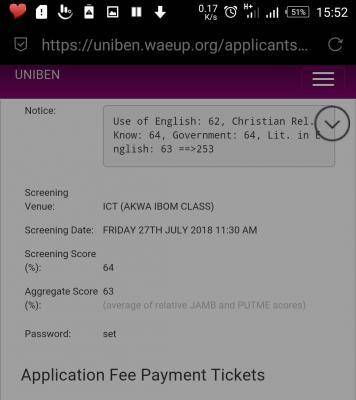 UNIBEN Post-UTME Screening results for the 2018/2019 academic session have been released. Candidates who took part in the just concluded UNIBEN screening examination can now proceed to check their results. The results can be accessed online. The steps to check the result are outlined below. -Provoid your login details in the spaces provided to login. -Once you are logged in, proceed to view result.